It’s almost midnight in Budapest and the city is going crazy! At around 15, the noisemakers and party buses began. Then as soon as darkness fell around 17, the fireworks started. 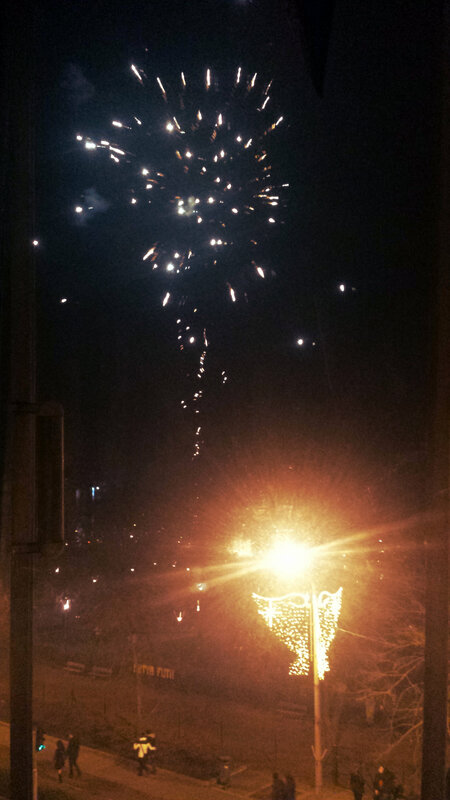 Since then, there have been constant – and I mean constant – fireworks going off in the park outside our apartment. Add to that screaming people, whistles, celebration honking, singing – you name it. 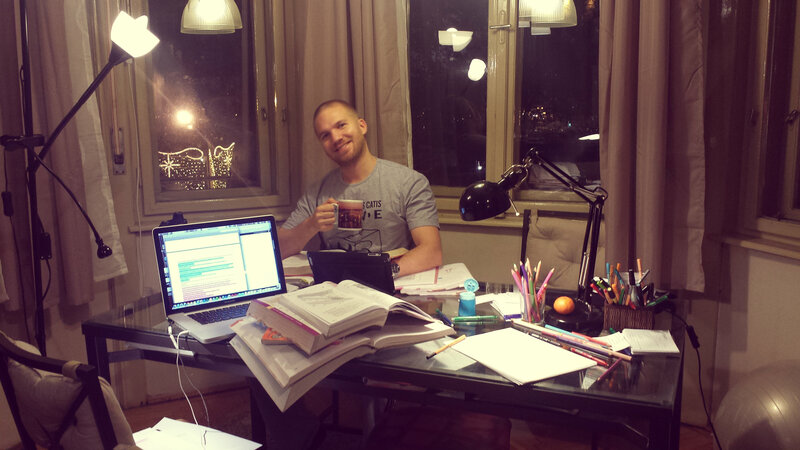 It’s nice when it’s only for a little while, but after 5 or 6 hours, it’s not so nice… Skjalg and I both had to move into the office to study. It’s on the inside of the apartment, so the sound isn’t as bad. At least until some of our neighbors started sending off fireworks in the middle of the apartment courtyard. Hopefully it will tone down after midnight! In about half an hour, we are going to head down to the river to watch the “real” fireworks. It will be nice to get out of the apartment and experience the city in all its celebratory glory. Then it’s back home to study! Here’s to wishing all of you a big “Happy New Year”!! § One Response to Hello 2014!! You are currently reading Hello 2014!! at Buda-B.